TV advertising is a powerful thing, exerting the kind of influence in our lives that we’d probably be loath to fully admit. At Christmas a great number of people I know were delighted by a Coca-Cola publicity stunt that had rolled into town. The truck from that advert was parked up in a local shopping precinct. People flocked to see it, this physical facsimile of something from a fondly remembered campaign. I was a little baffled by such reverence (under what other circumstances would people go out of their way to see a soft drink lorry?) but it did reinforce what TV advertising is all about; promising us happiness. That truck, to a lot of people, is happiness. Like it or not. Pablo Larraín’s latest film No is about a very special television campaign, telling the true story of how in 1988, facing pressures from across the globe, Chilean dictator Augusto Pinochet agreed to allow a referendum to take place. For the first time in 15 years, the people of Chile would have a choice; ‘YES’ to further ‘democratic’ reign by their leader, or ‘NO’. Change was within their reach, if the public could only be roused out of their fear to grasp for it. As part of the terms of this agreement, both sides of the argument would have 15 minute television slots to state their case. The ‘NO’ campaign approached ad man René Saavedra (Gael García Bernal) in the hopes that he would be able to help craft an attention-grabbing message, but with little belief that they could in fact succeed. All they had were case histories of Pinochet’s misdeeds, somber evidence from over a decade of fascist corruption. Saavedra took the job but elected to present them a concept which shifted focus away from what Chile had been through, instead proposing to show Chile what it could have. Happiness. Though Saavedra’s approach was initially met with derision and outright scorn, he persevered and the campaign grew. Looking to the template drawn by so much American advertising, Saavedra composed bright, cheerful visions of a future that were conceptual rather than pragmatic. So what if a family having a picnic have a basket of French loaves? – something no Chilean family would ordinarily pack – the point was the picnic was happening. This wasn’t the first time that the principals of consumer advertising had been used for political ends. Far from it. A classic example is this cheery jingle for television which was used in the campaign to elect JFK. But the ‘NO’ campaign was a phenomenon, striking a chord with a populous not used to being allowed to make such a decision. The threat of being ‘disappeared’ by Pinochet for such defiance is palpable in Larraín’s film. As an audience we understand that the Chilean people were not merely apathetic; they were controlled through fear. Genuine domestic terrorism. One of the things which makes No such a striking film to watch is Larraín’s decision to shoot the entire film on videotape. Thus archive footage and dramatised material blend seamlessly. It adds a remarkable sense of continuity and realism to the film, drawing you in and sustaining. Initially, yes, it feels like a quirk, something that might leave the viewer at a remove, but this quickly fades away. Larraín builds a fascinating factual drama through this technique, which has another textural impact on the film too. Because of the low-grade video used to shoot the movie, everything has that bled-out quality. 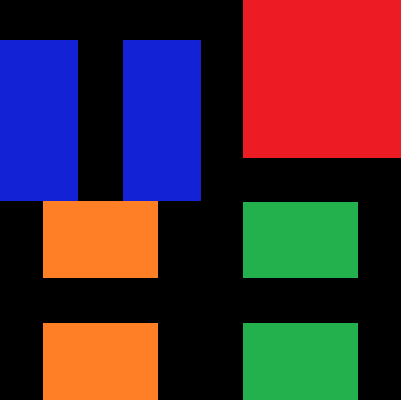 People and trees are haloed in greens or reds or blues. The film feels slightly sun-scorched. Larraín has used the medium to his advantage, and No has that light feel of impressionistic painting. 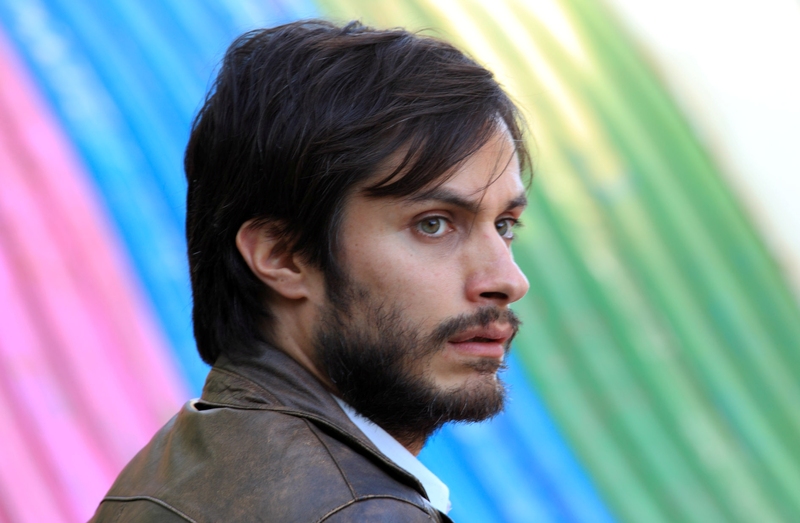 Gael García Bernal does some of his finest work in portraying René Saavedra. He is a quiet man, but with a child’s heart recalling Jake Gyllenhaal playing Robert Greysmith in Zodiac. Here that connection to youth is more pronounced. Saavedra is never more relaxed than playing with his son’s train sets. It’s what allows the man to tap into the Chilean zeitgeist. A man connected to his own sense of wonder. Crucially, Bernal does not overplay this. His Saavedra never slips into caricature. As such his work here is very impressive for just how measured it is. His is not one of the showiest performances of the year – it’s understandable why he has been passed over through awards season. It is however a performance worth championing. No is one of the most engaging new films I’ve seen in a little while. With Larraín’s shooting style drawing you in and Bernal’s leading role offering an emotional hook for the audience, this retelling of history comes across as both thoughtful and entertaining. There is room for light comedy just as there is room for more serious moments of contemplation and even a little suspenseful menace. With its quiet bearded protagonist, 80’s setting and against-the-odds tale of political history being swayed by men and women outside of their comfort zone, it feels like a strong counterpoint to Argo. Now I enjoyed Argo, and was happy to allow its embellishments for entertainment’s sake, but No feels like the better film. More mature, more substantive, more rewarding. In fact if No loses any points at all, it’s for its lack of embellishment. You know the way this is going, and so some of the second hour can feel a little like box-ticking; filling in the expected amount of time before the big day – election day. Bernal’s controlled performance nearly gives the audience too little when the finale comes. Though there is definitely a sense of catharsis, Saavedra seems to disappear into the crowds. A phantom who somehow magicked up a political sea change before returning just as inexplicably to his day job. Nevertheless, these are small niggles in an otherwise exceptionally realised movie. One to look out for. Greet this with an exalted “YES”. It’ll bring you a little happiness, guaranteed.